Our FIP training course assists your staff in the general operation of fire safety and building evacuation systems. Ensure your peace of mind, safeguard your staff, facility and also the environment with accredited fire safety training. It’s a guided course that educates staff on how to locate, identify and also operate workplace fire detection systems. Learn how to use a Fire Indicator Panel (FIP) and associated systems including the Emergency Warning and Intercommunication System (EWIS). WA Fire Training, Services & Equipment bundle FIP training into our facility specific fire safety training packages. What is a Fire Indicator Panel? The Fire Indicator Panel is the centre-point of a fire alarm system. Sensors installed in your workplace facility detect changes such as smoke or temperature. The sensor data is communicated back to the FIP, which triggers the fire alarm. What does a Fire Indicator Panel do? In the event of a fire, the FIP triggers your fire alarm. 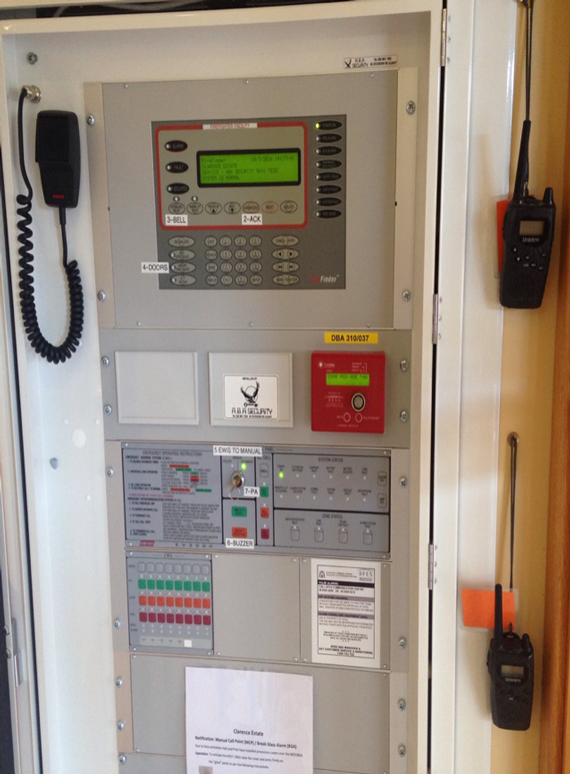 If alarm signalling equipment is installed, emergency services will be notified via monitoring systems. To prevent the spread of fire, the FIP is also used to temporarily disable air conditioning systems. The FIP can also be used to temporarily disable your facility’s environmental sensors. This is especially helpful with false alarm reduction, ensuring trades can carry out refurbishment works without triggering the fire alarm. When a fire is detected, the Emergency Warning and Intercommunication System (EWIS) assists you with evacuating your workplace facility. The EWIS allows for the broadcast of a pre-recorded audio command to assist with evacuating staff. Fire wardens and area wardens can also communicate via the EWIS to ensure a cohesive evacuation process. WA Fire Training, Services & Equipment offer accredited fire safety training packages for your business. Contact us today for workplace fire safety training, and empower your staff on the usage of FIP and also EWIS technology.